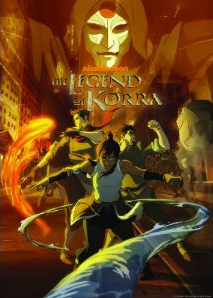 Tenzin, a new character introduced in Avatar: The Legend of Korra, is the son of Avatar Aang and will be Korra’s airbending teacher in the upcoming series. Other than that, we don’t have too much background on this character. So what better way to get more insight on Tenzin than to interview the Voice Actor of Tenzin himself? J.K. Simmons gave Comic Book Movie an exclusive interview that gives us Avatar fans a little insight on what’s to come. You bet. I hope this works, despite my complete incompetence with all technology. Fans know that in the upcoming Avatar: The Legend of Korra your character, Tenzin, is the son of Aang and Korra’s Airbending instructor; what else can you tell us about him? Does the fact that Tenzin’s father was the Avatar before Korra cause any strain between them when they first meet? That’s one of many things that contributes to difficulty in their relationship. How did you get involved in the new Avatar series? The old fashioned way. As I recall, (which I often do incorrectly) I auditioned for this one. If you could bend any element which would you want and why? Air. That way you can basically fly, which is my favorite G-rated fantasy. Very interesting. Despite the fact that we learned more about J.K. Simmons in this interview than Tenzin, we did learn a little about the relationship between Tenzin and Korra: It’s not very good. But what do you expect from a “head strong girl that’s ready to take on the world”? I see this relationship very similar to the initial relationship between Katara and Master Paku. Bad at first, but grows to become better over time. Awesome, awesome, awesome! I love this voice actor and am completely ecstatic for the rest of Legend of Korra!